Team Leader / Project Manager: Applicants who have completed BE (Civil) minimum 20 years experience in execution of similar type of Project or equivalent from a recognized Institute for WAPCOS Recruitment 2018. Senior Engineer (Civil &PH): Applicants who have completed BE (Civil)/ Diploma (Civil) with minimum 5 years /10 years Experience in execution /managing of a similar type of Project or equivalent from a recognized Institute for WAPCOS Recruitment 2018. Junior Engineer (Civil & PH): Applicants who have completed BE (Civil)/ Diploma (Civil) with minimum 3 years /4 years Experience in execution /managing of a similar type of Project or equivalent from a recognized Institute for WAPCOS Recruitment 2018. Infrastructure Engineer: Applicants who have completed BE (Civil) with minimum 10 years experience in execution of similar type of Project or equivalent from a recognized Institute for WAPCOS Recruitment 2018. Civil Engineer: Candidates who have completed BE (Civil)/ Diploma (Civil) with minimum 5 years /10 years experience in execution of similar type of Project. Senior Engineer (Electrical): Applicants who have completed BE (Electrical), Diploma (Electrical) with minimum 5 years/10 years experience in execution /managing of a similar type of Project or equivalent from a recognized Institute for WAPCOS Recruitment 2018. Junior Engineer (Electrical): Applicants who have completed BE (Electrical)/ Diploma (Electrical) with minimum 3 years /4 years experience in execution /managing of a similar type of Project or equivalent from a recognized Institute for WAPCOS Recruitment 2018. Safety & Labour Welfare Officer: Applicants who have completed Diploma with a certificate of safety with labor regulations with minimum 6 years of experience in major manufacturing / Construction unit or equivalent from a recognized Institute for WAPCOS Recruitment 2018. Surveyor: Applicants who have completed Diploma in Surveying with minimum 6 years of experience in major surveying works or equivalent from a recognized Institute for WAPCOS Recruitment 2018. Bridge Design Expert: Applicants who have completed BE (Civil) & M.Tech (Structural Engg.) with minimum 15 years of experience in similar nature of works or equivalent from a recognized Institute for WAPCOS Recruitment 2018. Structural Engineer: Applicants who have completed BE (Civil) & M.Tech (Structural Engg.) with minimum 5 years of experience in similar nature of works or equivalent from a recognized Institute for WAPCOS Recruitment 2018. Quantity Surveyor: Applicants who have completed B.E (Civil) with 5 years Experience in Building & Infrastructure or equivalent from a recognized Institute for WAPCOS Recruitment 2018. Electrical Engineer: Applicants who have completed B. Tech (Electrical) or equivalent from a recognized Institute for WAPCOS Recruitment 2018. 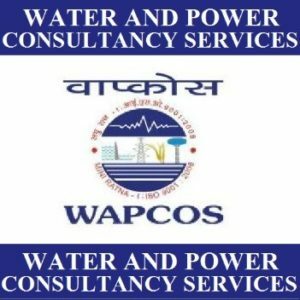 Eligible & Interested candidates can download notification in Official website page in www.wapcos.gov.in WAPCOS Recruitment 2018.